A little less than a month has transpired since the launch of the GeForce GTX 770, and we’re back again with another new NVIDIA card. As is usually the case with NVIDIA video card family launches, NVIDIA has started at the top and has been working their way through the list, refreshing consecutively lower-end video cards. GTX 770 saw the $400 price point refreshed with a new high-end GK104 part, and now the sub-$300 price point is due for a refresh with a new lower-end GK104 part. 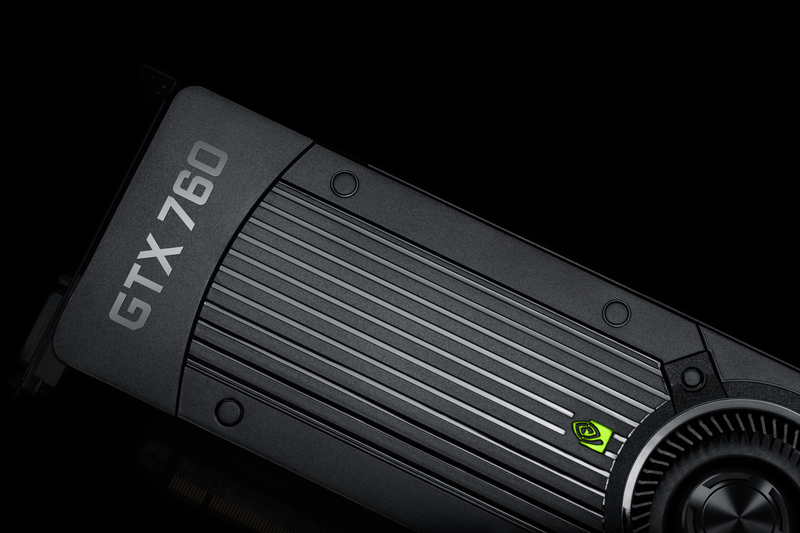 Launching today, that part will be GeForce GTX 760, the direct successor to the GTX 660 Ti. Whereas the GTX 770 fully supplanted the GTX 680 and put the GTX 670 in a tough spot, GTX 760 will be doing the same thing from the other direction, replacing GTX 660 Ti while also assuming the rest of the market segment formerly inhabited by the GTX 670. As a result NVIDIA is gunning for performance between a GTX 660 Ti and GTX 670, while bringing the price down to $249, nearly $50 below GTX 660 Ti. 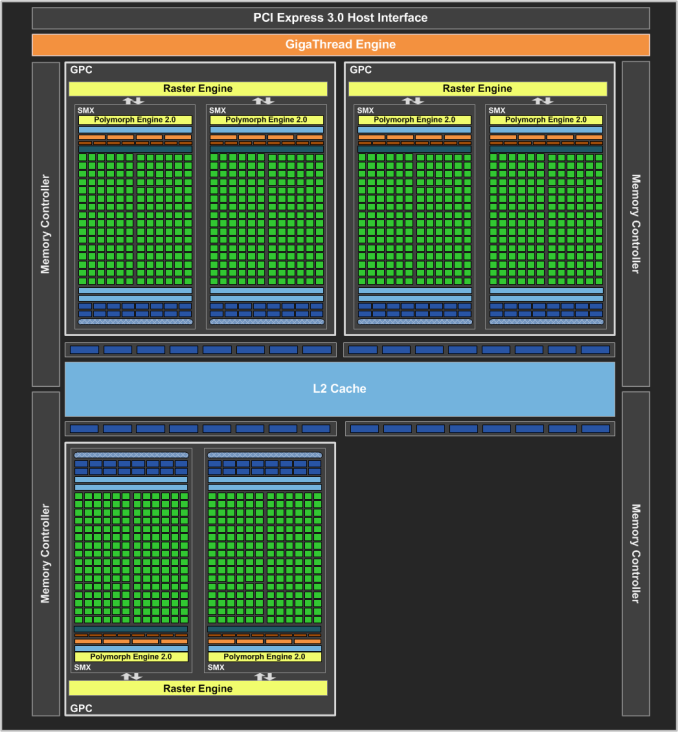 Consequently this is a lot like the GTX 770 launch – a GK104 refresh that will see NVIDIA delivering more for less. The GTX 760 is essentially composed of the only GK104 configuration we didn’t see with the 600 series: 6 SMXes attached to a full 32 ROP, 256-bit memory bus. This is the fewest number of enabled SMXes on any desktop GK104 part – GTX 670 and GTX 660 Ti both had 7 SMXes – but it’s 32 ROPs versus the 24 ROPs on GTX 660 Ti. As a result we’re looking at a configuration that technically has less shading and texturing throughput than the retiring GTX 660 Ti, but more ROP throughput and memory bandwidth than that same part, on-par with the equally retiring GTX 670. Note that this is also the only desktop GK104 part that potentially ships with 3 GPCs; with 2 SMXes disabled, a GPC goes with it if those SMXes are part of the same GPC. Though as with the other NVIDIA parts where there’s a variable number of GPCs, we haven’t seen a measurable impact on performance, so it’s more of a technicality than a meaningful difference. Like the GTX 770, the GTX 760 is fairly highly clocked for a GK104 part. Its base clockspeed of 980MHz is 65MHz (7%) higher than both the GTX 670 and GTX 660 Ti, which helps to offset the lost SMX. At the same time this gives the GTX 760 more ROP throughput than even the GTX 670. The end result is a product whose performance bounces between the GTX 660 Ti and GTX 670 depending on the workload, and typically is biased towards the GTX 670. Altogether we’re looking at about 92% of the GTX 660 Ti’s shading/texturing performance and 43% more ROP throughput. Memory clocks on the other hand are unchanged at 6GHz, but thanks to its full 256-bit memory bus GTX 760 will have 33% more memory bandwidth than GTX 660 Ti. On the performance front GTX 760’s other trick compared to the GTX 600 series parts it replaces is that like the GTX 770 it’s a GPU Boost 2.0 part, meaning its boost performance is further min-maxed than GPU Boost 1.0 parts. Thermals willing, our sample boosts to 1149MHz out of the box – the official boost clock is over 100MHz lower at 1033MHz – a bigger and more frequent boosting outcome than what we saw with the GTX 660 Ti. So even though GTX 760 still theoretically has lower shader performance than GTX 660 Ti, there’s only a single benchmark where the GTX 760 doesn’t beat its predecessor, and it’s a non-gaming benchmark at that. Meanwhile GTX 760’s TDP will stand at 170W, the same TDP as the GTX 670. Accounting for throttling differences from GPU Boost 2.0 that will have GTX 760 reaching its TDP more often, GTX 760 will essentially draw as much or more power than GTX 670, never mind GTX 660 Ti. Like GTX 770 NVIDIA has little choice but to raise their TDP here at any given tier in order to unlock more performance. 170W in turn is a rather intentional number that will allow NVIDIA’s partners to recycle their GTX 670 designs since the maximum power draw (and maximum heat generation) remain unchanged. Idle power on the other hand is going to be marginally lower, as like the GTX 770 the GTX 760 implements a lower idle clock state that shaves off a couple of watts. Moving on, with this launch we’ll see NVIDIA shrink their desktop product stack a bit. With GK110 based cards at the high-end of NVIDIA’s stack and price compression below $500 pushing prices down, the desktop GK104 product stack is being reduced from 3 cards – GTX 660 Ti, GTX 670, GTX 680 – to just two cards. NVIDIA’s configurations leave them an out should they ever need it, but as it stands these will be the only two GK104 cards in NVIDIA’s 700 series lineup, with GTX 770 and GTX 760 splitting up the old market segments. 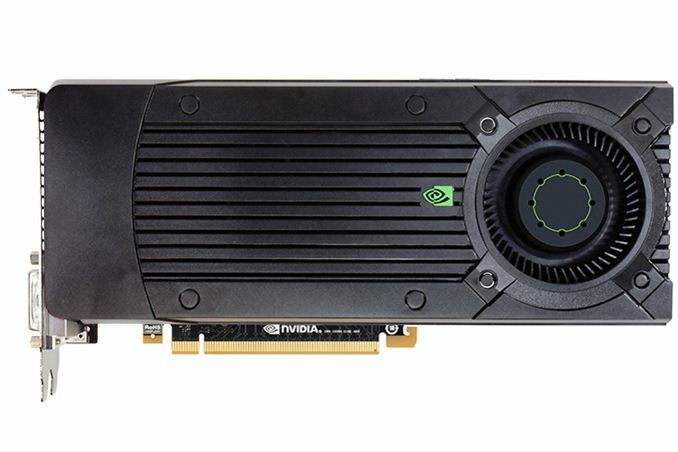 With a launch price of $249, GTX 760 is another aggressive launch for NVIDIA compared to both their previous generation products and AMD’s current lineup, with NVIDIA now offering performance notably better than what have been more expensive products. Other than its lower 150W TDP, GTX 660 Ti is fully redundant at this point; GTX 760 is faster and cheaper. GTX 670 is still going to be a hair faster, but with GTX 670 prices still above $300 it’s not being placed at a value sweet-spot, and like the rest of the GK104 based 600 series lineup is slowly being phased out entirely. The more dynamic matchup will be GTX 760 versus AMD’s product lineup. $249 cuts right down the middle of AMD’s current product lineup, putting GTX 760 between the Radeon HD 7870 and 7950. At the same time NVIDIA’s goal here is to beat the 7950 in performance – keep in mind the GTX 660 Ti tied the original (non-boost) 7950 – which is something the GTX 760 doesn’t have too much trouble with. AMD and their partners have already prepared for this somewhat, as after-rebate prices on 7950 cards have come down from about $300 to about $280 in the last month, but that means GTX 760 still carries a $30 lower price tag. Once more there are no bundles in play on the NVIDIA side, so the wildcard on the AMD side will once more be their 4 game Level Up with Never Settle Reloaded bundle. Finally, this is another hard launch. GTX 760 cards will be available from the usual retailers and e-tailers. Meanwhile since GTX 760 is designed to be a drop in replacement for GTX 670 on board designs, NVIDIA’s partners will be launching with fully custom cards right away, most of them based on their previous customized GTX 670 designs. Reference style cards will likely be few in number, but unlike the GTX 770 launch (with its relatively expensive Titan cooler) the GTX 670/760 reference cooler does not price itself out of the market. Crysis 1 was an excellent template for the kind of performance required to driver games for the next few years, and Crysis 3 looks to be much the same for 2013.
tl;dr: It's a GeForce GTX 670 for $100 less. Very informative review. The GTX 760 is undoubtedly a potential buy.